One of the best ways to avoid forgetting important items for a dive trip is to keep a scuba gear checklist. 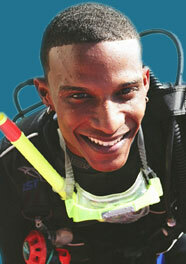 In fact, if you are about to make a trip, make sure to have your scuba dive gear serviced. To enjoy your trip, you need to divide your scuba gear checklist into two groups, the first group pertains to the actual dive, the other is for your time in the boat. For your actual dive you want to make sure you have the following equipment. Mask: This is essential for good visibiilty underwater. Remember, goggles will put too much pressure the deeper you go underwater. Snorkel: This is used primarily to conserve the air in your tank at the surface. Fins: Try to move 30 feet underwater without a pair of fins and you will appreciate the importance of scuba fins. Booties: For colder environments, dive boots are a must in your inventory of scuba dive gear. They will protect your skin from the cold water. Mitts and Hood: Hoods are extremely important in colder climates. They protect your head, which has the potential to loose the most body heat underwater. Appropriate wet suit: More useful in moderate to warm waters to protect your body from the elements(i.e.sea urchins). BCD: Buoyance Control Device to help you maintain your buoyancy both underwater and at the surface. Regulator: with octopus(alternate second stage), low-pressure inflator hose, and submersible pressure gauge, dry-suit inflator: Regulators allow you to breath the air from your tank at low pressure. One of the more important components of your scuba gear checklist. Tanks(checked and filled): The tank stores the air that you need underwater to survive. There is an instrument that gauges the amount of air left in the tank to help you plan your dive. Dive tables: The further deep you dive, the more you need to be concerned about your decompression levels. Unless you have a dive computer in hand, it is almost mandatory to use dive tables to plan your dives for the day. Compass, computer, timer, depth gauge: These are very popular and more commonplace now than ever before. It is easier to keep track of your decompression needs with a dive computer than a dive table. Remember, dive computers come in all types of price ranges. Incidental accessories like knives, shealth, collection bad, dive float, dive flag: These accessories, though often over- looked, can play an important role in your safety underwater. The better prepared you are, the more you can enjoy your underwater experience. Any potential need for specialty equipment like lights, cameras: Dive lights are not only useful at night, but also in murky lake waters. First aid and oxygen kit: If you and your friend are diving independently, this is of paramount importance. Do not overlook this. C-card and logbook: This refers to your open water certifi- cation card. The logbook keeps an account of the number of dives that you have made. Check list for your time at the boat: These items are not a part of your scuba dive gear checklist, but are useful in any outdoor activity. Hat: To protect you from the sun. Water: You always want to stay as hydrated as possible. Remember, when you are diving in tropical climates, it is best to have a bottle of water with you. Windbreaker: When you are on a boat in the ocean, you sometimes cannot avoid heavy winds. Having a windbreaker can help you avoid the temperature fluctuations of heavy winds, especially in non tropical climates. Towels: This comes in handy when you get back on the boat after your dive. Make sure you dry yourself thoroughly. Long-sleeved shirt for protection from the sun: Diving in tropical climates requires some sort of protection from the sun. In addition to being hydrated properly, you should take a bottle of sunscreen, as well as long-sleeved shirt. Sunburns can totally mess up your time underwater. Lunch and snacks: Don't always depend on your dive group to provide you with meals. Quick snacks such as fruit/granola bars and beverages will prevent you from being hungry. Ask beforehand if food will be provided or catered. Otherwise, consider bringing a sandwich if there is a fridge on board. Seasickness medication: Consult your doctor beforehand if your are prone to seasickness and need medication.